First day on the job: I’m outta here! No, I’m not quitting. I’m heading to Iceland tomorrow for 9 days. It was very easy for me to convince Miles why this trip was critical to the success of our company. My argument made extensive use of keywords like “recruiter”, “recruiting”, “technology”, “seo”, “linked in”, “twitter” and “trust me”. Then I threw in something that sounded like Eyjafweslfkjjsdhfahsjkfhkjasjhflqkzx. You know, that volcano that just erupted in Iceland. So, here’s what I’m planning on doing. Once I land in Reykjavik, I’ll need a couple of days to recover from that super long 5 hour flight. I’ll stay in the downtown area and do some research about the state of the hr and recruiting industry of the country. This will necessitate mingling with the locals at the trendiest bars. Then, I’ll take a 4×4 and head counterclockwise to Eyjafjallajokul. That’s the super long way. But, it’s worthwhile because Husavik sounds like a great name to potentially open up the Recruiter.com Iceland office in 2020. 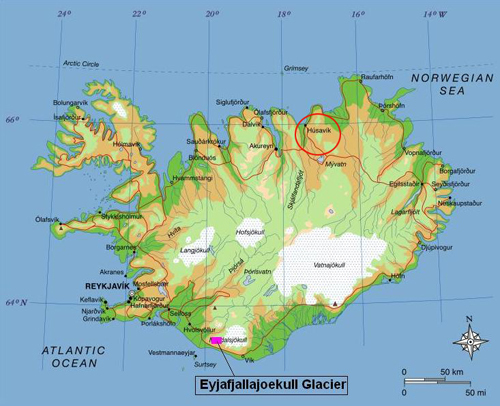 It’s conveniently located on the North East of coast of Iceland, far from the competition. This strategic move will change everything for us. I will head off the beaten path and hike some glaciers, climb Iceland’s highest peak, and visit some waterfalls and remote villages. I’ve always been a big believer of the long tail stuff. They just convert better. Of course, when I get back on September 14th, I would have in my possession some mission critical information about Eyjafxzvbjhwqefmf. Is this the best company in the world to work for or what?! Man, I love the perks!